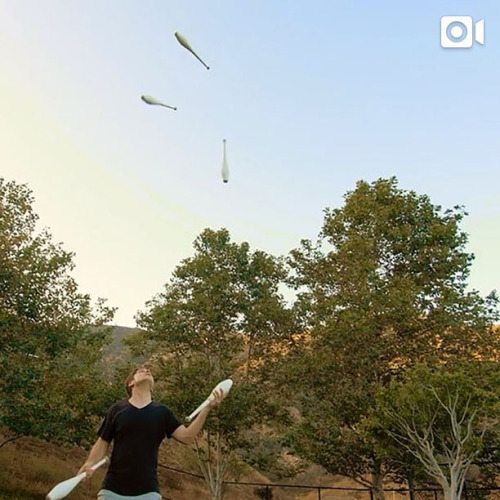 To see more of Josh’s juggling videos, follow @jugglinjosh on Instagram. Nearly two decades before Josh Horton (@jugglinjosh) became one of the most followed jugglers, he joined the circus club at his elementary school. “My favorite thing about juggling is the challenge. It’s just you against yourself,” says 26-year-old Josh, who quit his day job in social media a year ago to start juggling full time in Los Angeles, California.